Roma have allegedly altered their stance over Alisson amid ongoing speculation linking him to the Premier League. The in-demand goalkeeper has been subject to strong interest from both Liverpool, Chelsea and Real Madrid throughout the summer transfer window. A hefty asking-price has evidently proven a major factor in the Brazilian’s future remaining undecided, with Liverpool having diffused their interest after learning of his £70million valuation. The might of Real Madrid have been similarly reluctant to meet Roma’s demands despite reportedly agreeing personal terms with the player himself. Nonetheless, Gianluca Di Marzio reports that Roma may now be willing to lower their desired fee to €70million, which equates to approximately £62million. 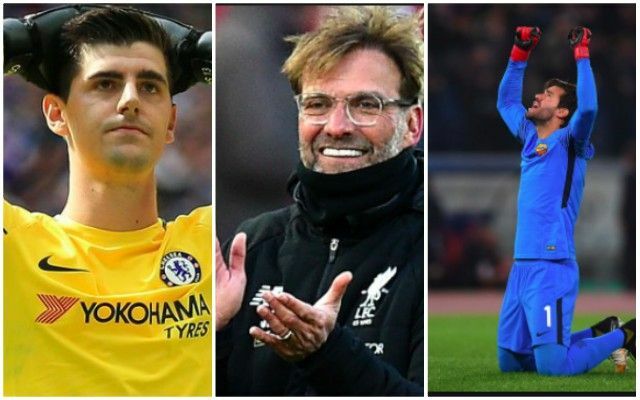 It may take a decision on Thibaut Courtois’ future to kickstart a formal race for Alisson, with the Chelsea shot-stopper attracting interest from Real Madrid. Roma director Monchi recently denied that the club had considered a specific asking-price having not yet received any bids for the 25-year-old’s services. A fee closer to the £60million mark would potentially lure Liverpool back towards Alisson as Jurgen Klopp strives to address a priority area of weakness in preparation for a Premier League title challenge. One factor that may work against the Reds is Roma’s regret for allowing Mohamed Salah to move to Anfield for a cut-price deal prior to his incredible debut season. Whilst Klopp remains on the hunt for a new No.1, he is also using his time to monitor the progress of Danny Ward after inviting the Welshman to stake a claim for a starting spot ahead of Loris Karius.